We’re in the mood to make bold, food-related declarations, so here goes: Bacon and cake totally belong on the same plate. Odd as it sounds, we have to stand behind that statement because how could we not after looking at this cake covered in heart-shaped bacon? So, who is responsible for this most blissful bacon-inclusive recipe? According to Cosmo, we should be bowing in appreciation to Instagram baker Chelsweets, who created this mouthwatering dessert. 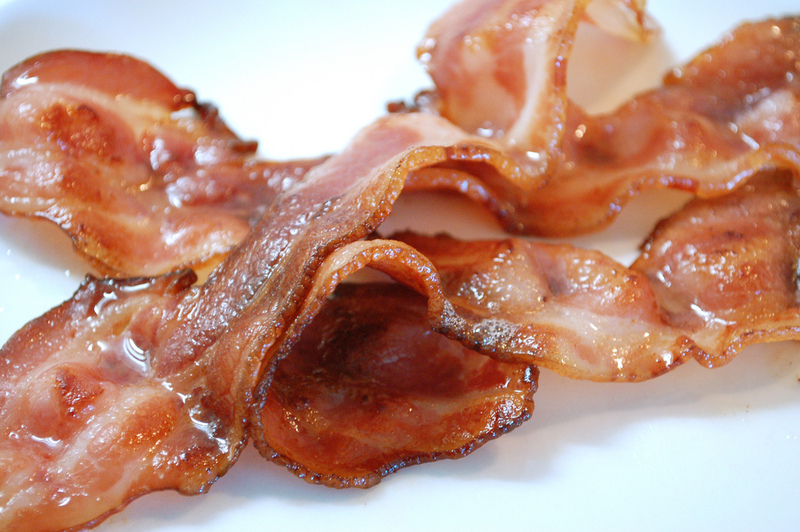 It looks so charming and delicious that we’d totally snap a selfie with it to use as a profile pic on that bacon-themed dating app. In addition to hearty (tee hee) pieces of bacon, the cake is also topped with fondant eggs with smiley face yolks and yes — EVEN. MORE. BACON. Now that we know how to bake this cake, let’s discuss the various ways in which we’d like to devour it, bit by bit. Ordinarily, we’re team #savethebestforlast, but who else is thinking the only way to eat this thing is by picking off and nibbling away at the bacon hearts first? Not just us? Ha, we figured. BACON RULES EVERYTHING AROUND US, Y’ALL. If you weren’t necessarily into those bacon-flavored Pop Tarts, then maybe you can get into this cake? If not, we’ll gladly throw on Nick Jonas’ “Bacon” song to celebrate having one less slice of sweet, creamy bacon cake to share.